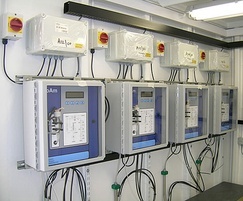 The Bran Sands influent monitoring kiosk was supplied to Northumbrian Water in April 2007, and was sized to accommodate four ProAm ammonia monitors, which allowed space for additional instruments. All of the sample distribution was preformed using stainless pipework. Fused spurs were attached to each analyser and signals were wired to a common signals enclosure. The instruments continuously monitored the screened influent (coke oven liquors discharged from a local steel works). Despite very challenging sample quality, all four ProAm instruments with membrane sample preparation have been praised by Northumbrian Water for their performance. The benefits of pre-engineered monitoring solutions cannot be overstated. 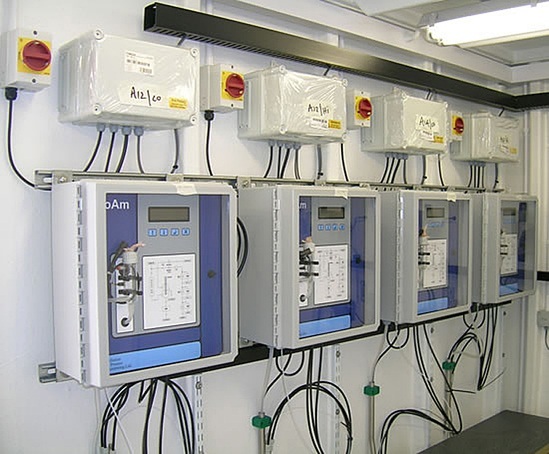 The ability to pre-engineer systems allows for complete testing before delivery, reduces time on site and also reduces the cost of installation. The installation has also been supported by PPM service engineers on site at scheduled intervals, as a part of complete routine servicing. Additionally PPM has organised regular chemical deliveries to assist and simplify the operation of the instruments.